The MS-451 is a medical device pouch sealer, testing system, and inspection unit ready to take on your sterile device packaging program. Call and speak with an engineer now. The MS 451 medical pouch sealer monitors all critical packaging attributes in order to assure seal-to-seal consistency. An advanced transducer reports platen force, which electronically feeds back data to the microprocessor in real-time. A thin film thermocouple also sends the thermal data of the sealing environment to finely manage sealing temperature. The function of testing and inspecting medical pouches is so valuable it should indeed be performed at the point of packaging. 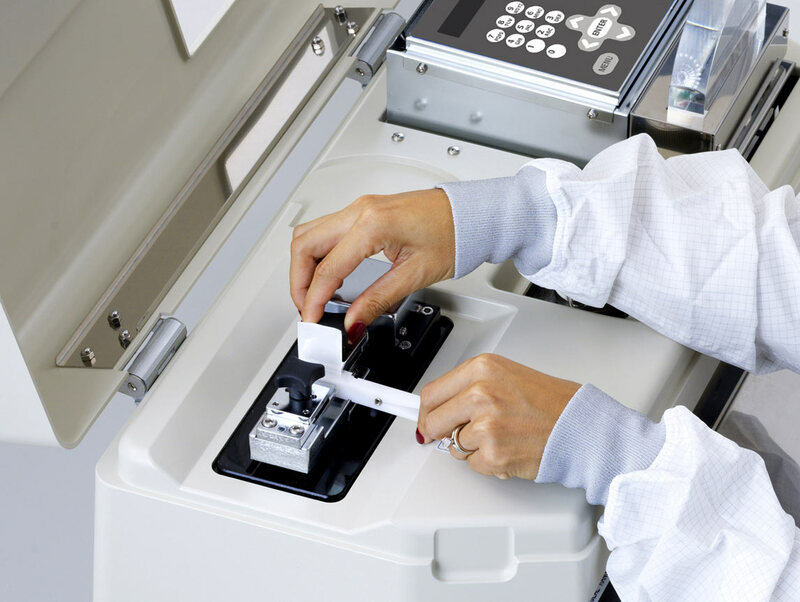 Our system not only encourages regular testing but also requires and records the process. As the industry demands tighter controls, smarter packaging machines like ours may soon be a mandate. 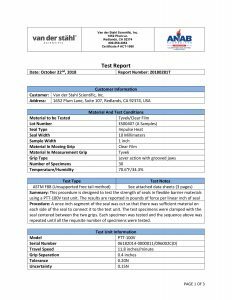 Stay compliant with regular seal strength testing and inspection. The MS-451 medical pouch sealer does not use inexpensive air valves to actuate the critical force at the platen. Our direct drive, custom-built solenoid is minutely controlled through the system’s advanced microprocessor. We have incorporated a precision tensile/peel strength testing device that integrates with the systems master microprocessor. 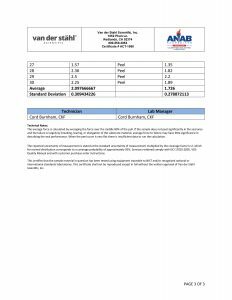 This allows operators to perform a compliant ASTM F88 seal strength test at the point of packaging. Our patented low angle lighting source casts a light wash over the sealed area of the pouch to better reveal peaks on the sealed surface that could indicate a seal risk. Operators can pass or fail the seal based on visual defects. A thin film thermocouple sends the thermal data of the sealing environment to finely manage sealing temperature. The MS 451 PV medical pouch sealer controls all critical packaging attributes in order to assure seal-to-seal consistency. An advanced transducer reports platen force, which electronically feeds back data to the microprocessor in real-time. Request a quote today. Click the video link above and learn how the MS-451 medical pouch sealing, testing and inspection device can transform your quality program. Stay compliant with the MS-451 packaging system. As critical packaging compliance becomes more rigorous, packaging machines will need to employ logic systems to guide the process. 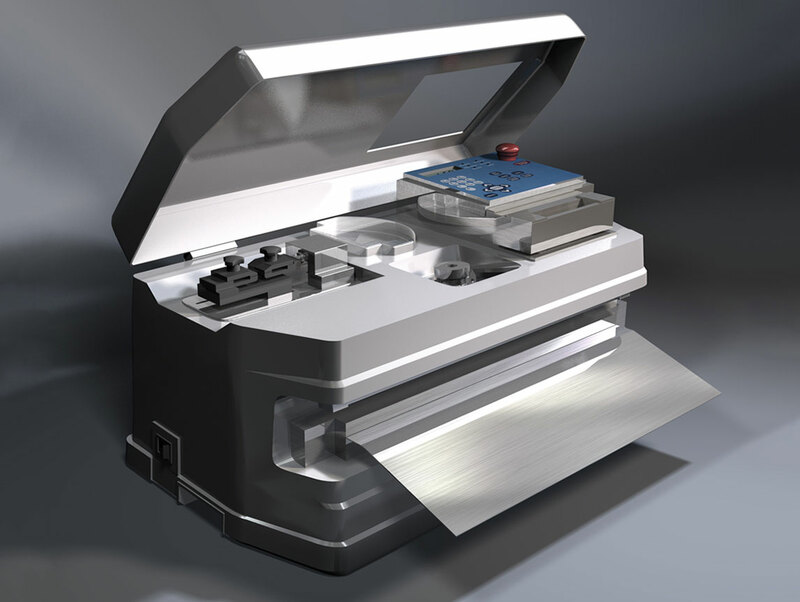 The MS-451 medical device packaging system has been called the Swiss Army Knife of medical device packaging. 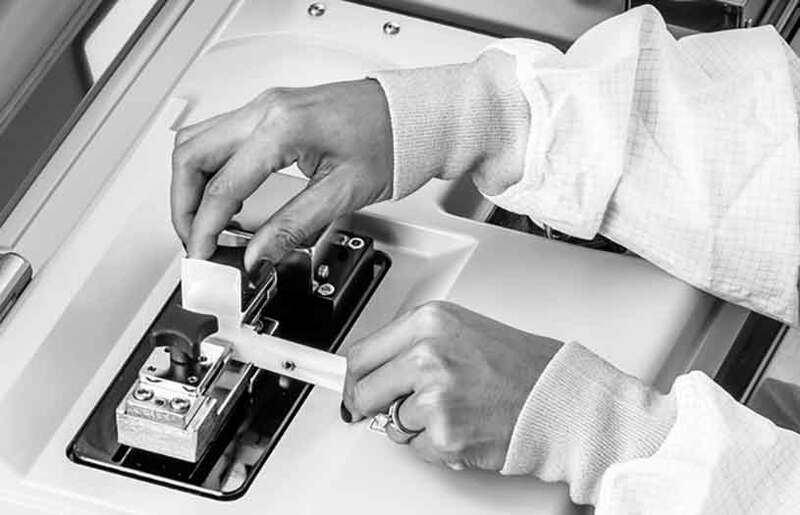 Medical device pouch testing and inspection are so valuable to the process of sterile packaging we have incorporated a precision tensile/peel strength testing device that integrates with the systems master microprocessor. 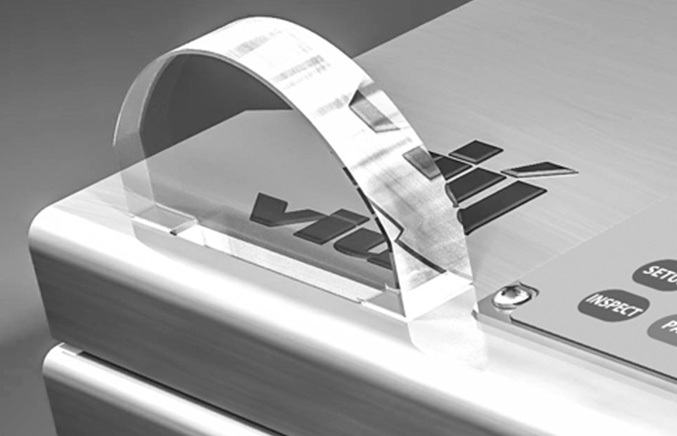 This advanced system also includes our patented visual inspection system, the VIU. The MS-451 medical pouch sealer, pouch tester, and visual inspection device is a complete sterile packaging solution in one machine. You can seal your pouches, perform tensile testing, and visually inspect your pouches right in your cleanroom at the point of packaging. 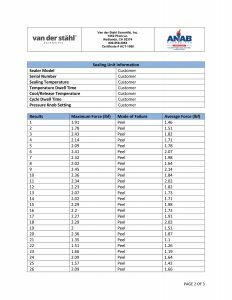 Our integrated pouch tensile/peel testing system can be verified with our “Smart Spring” to assure solid peel data. 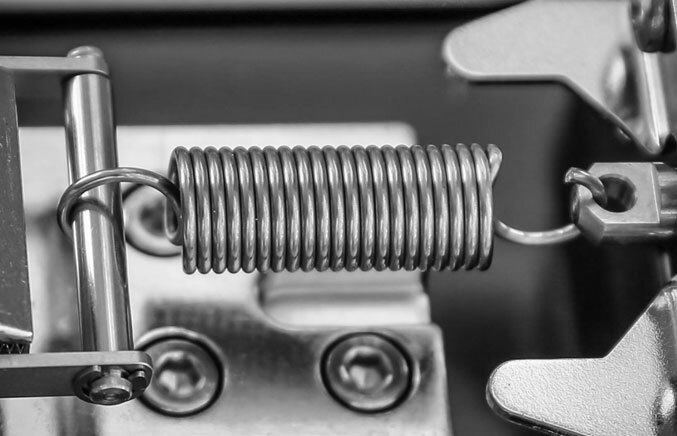 The MS-451 comes to you with a calibration check spring that can easily be fitted to assure that the device is operating as expected. This is a great way to prevent out of calibration events. Medical device packaging engineers agree the pathway to compliant device packaging is through regular testing and inspection. With our patented MS-451-PV medical device pouch sealing machine seal performance is verified with the onboard testing and inspection system.